It seems it does not want to stop raining. The meteorological data of this 2018 leave us spectacular records. It seems we have plenty of water, and it also seems that it does not want to stop raining. The flows of rivers, streams and marshes predict us a summer without drought problems, but above all we are predicting, and this seems to be one of the best canyoning season in recent years. A few weeks back we started the season as always with prudence, but this year, above all, fearful of the water. Some ravines that we are accustomed to working with levels of initiation had increased the flow in such a way that their descent became work by already experienced ravines. Font Bordonera in Organyà, go down so glad that it seems that at the end of July we still have a good night’s sleep to enjoy its descent. Other ravines that are normally dry, such as Fontanella, have a good stream, and above all, some points that make it dangerous. Watch out for the final trap marmalade! The Rialb River this canyoning season 2018, gives us enough water to get off from the hole of El Bulí to the end of the water trek without having to walk. 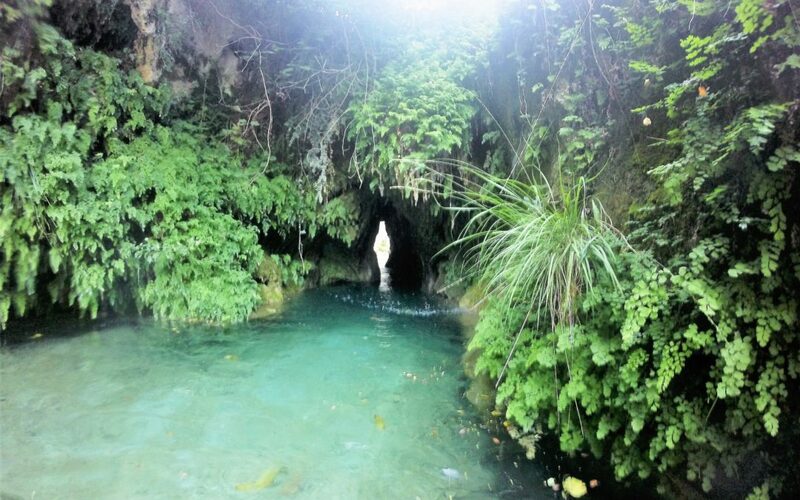 The forms that leave us the water and the caves at the end of the trek that we see are almost full to the top. In the same way that we have been able to enjoy a great ski season, the slack of the mountains and the rains of April and May give us a great canyoning season 2018 loaded with water, fun and lovely landscapes. It will be necessary to be more careful with the security, it will be necessary to adapt the descents to each one of the ravines better, but we will also enjoy one of the best canyoning seasons in recent years. Always remember to be accompanied by experts in canyoning and mountain sports. Adventure sports are exciting, but you must do them under the supervision of professionals to minimize the risks of an accident.